Can one nutrient really stop cataracts, macular degeneration, and glaucoma? Did you know that there might be one underlying condition that leads to just about every eye disease? It's true. 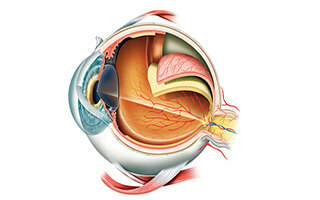 I was searching the literature on eye diseases such as cataracts, macular and retinal degeneration, and glaucoma. And one thing kept jumping out at me - oxidative stress. Oxidative stress, as you may know, is the process of removing electrons from an atom or molecule. You've probably heard it referred to as free-radical damage. But think of it as the breaking down of any atom. Many metals, for instance, break down when you expose them to oxygen. The oxygen causes them to rust. The same can occur in your cells. However, the difference is that it's not oxygen per se that's causing your cells to break down. Rather, it's oxidants. Oxygen can turn into an oxidant. But other oxidants can include chlorine, cigarette smoke, heavy metals, drugs, and many other chemical toxins. The key to keeping these oxidants from damaging your eyes (and other cells throughout your body) is to take nutrients that effectively negate this damage. You probably know these nutrients as “antioxidants.” And a new study shows how one antioxidant in particular really protects your cells from oxidative damage. In this study, researchers caused oxidative stress in rats by using the drug cyclophosphamide. The oxidative stress this drug causes often causes DNA damage, especially in the liver. And this damage can lead to liver cancer. Then the researchers gave the rats 25 mg/kg astaxanthin. Astaxanthin is one of the most powerful antioxidants you can find. In this case, the researchers said it dramatically reduced the amount of oxidative stress, DNA damage, and precancerous symptoms in the mice. But liver damage isn't the only oxidative stress astaxanthin stops. Another study showed that it protects the eyes against oxidative stress and the resulting inflammation. What's truly amazing about this nutrient, though, is that it has characteristics other antioxidants don't have. For instance, it doesn't become oxidized when it removes free radicals. That means it continues to work even after it adds electrons back into your cells. It also can remove a wide variety of free radicals simultaneously. Most antioxidants can remove only one type of free radical at a time. That's why it can work so effectively on the liver and the eye at the same time. But perhaps the most unique and appealing attribute of astaxanthin is that it can cross through many types of cell barriers, such as the cells in your eyes and in your brain. This allows the antioxidant to work inside your cells as well as outside. In other words, it doesn't just protect your cells - it helps rebuild them from the inside out. All of this makes astaxanthin one of the best nutrients you can take for your overall health, as well as for your eyes and brain. You can find astaxanthin sold by itself in your local health food store and online. Or you can buy it in combination with many other eye-building nutrients in Advanced Vision Formula. However you take it, make sure you're taking at least 4 mg daily (the standard dose for adults). This is one nutrient that can benefit every cell in your body. And it can help fight off every type of eye disease, from cataracts to macular degeneration to glaucoma.